We spent Friday night in Philadelphia, honoring the life of an amazing man who was taken too soon. We awoke early Saturday morning and raced up the turnpike, arriving just in time for lunch. 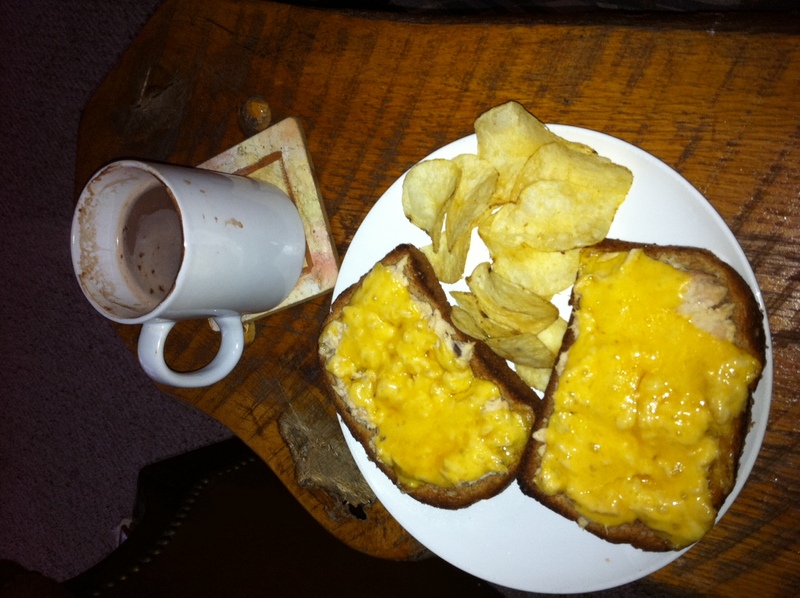 What better lunch for a cold and chilly weekend day than tuna melts, chips and hot chocolate. 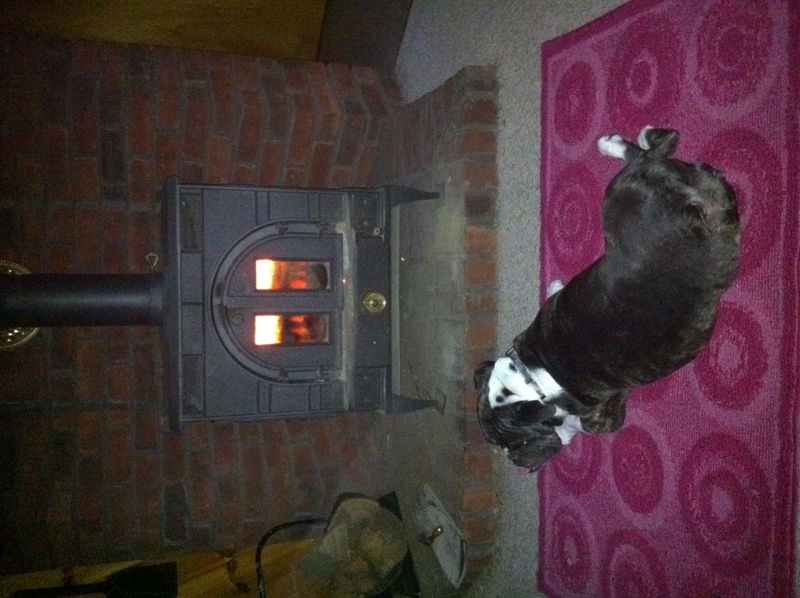 We spent the rest of the day laying around, although Jewels hogged most of the heat. 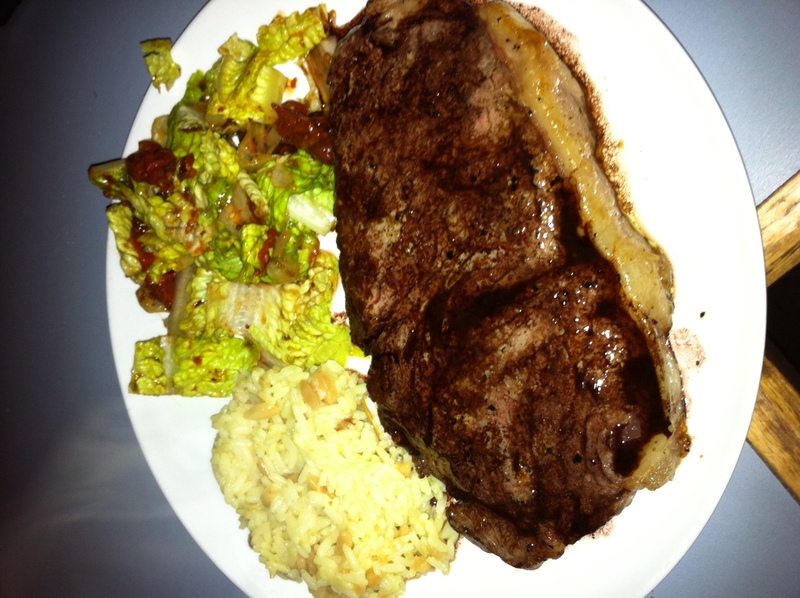 For dinner that night, we had a nice steak, salad with a roasted tomato vinaigrette and rice pilaf. 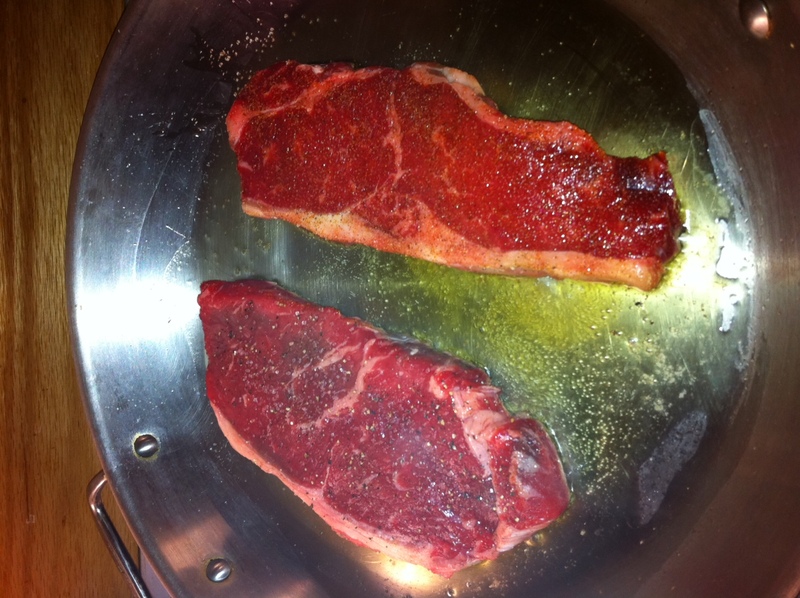 Here are the steaks sizzling in the pan before we finished them in the oven. Beautiful. Meanwhile, I roasted the grape tomatoes with some garlic and swirled them with a mixture of olive oil and balsamic. 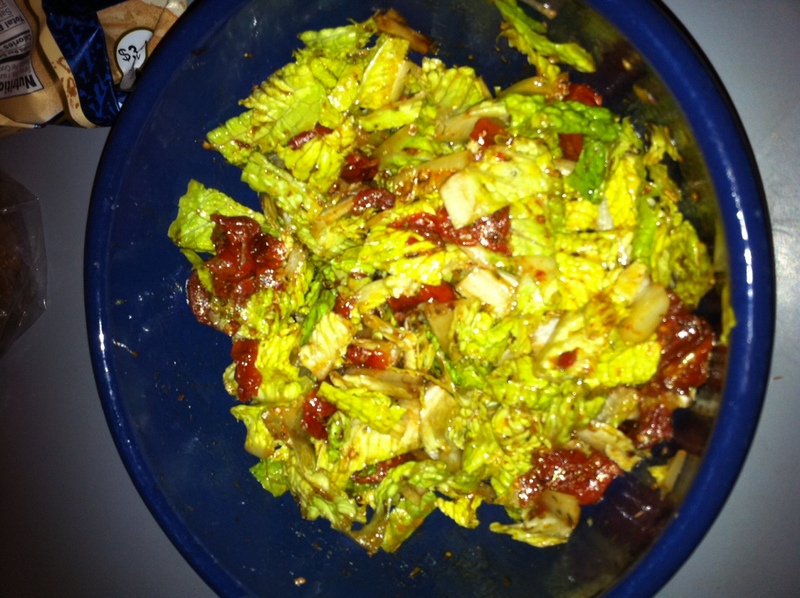 I tossed the finished mixture with chopped romaine hearts. 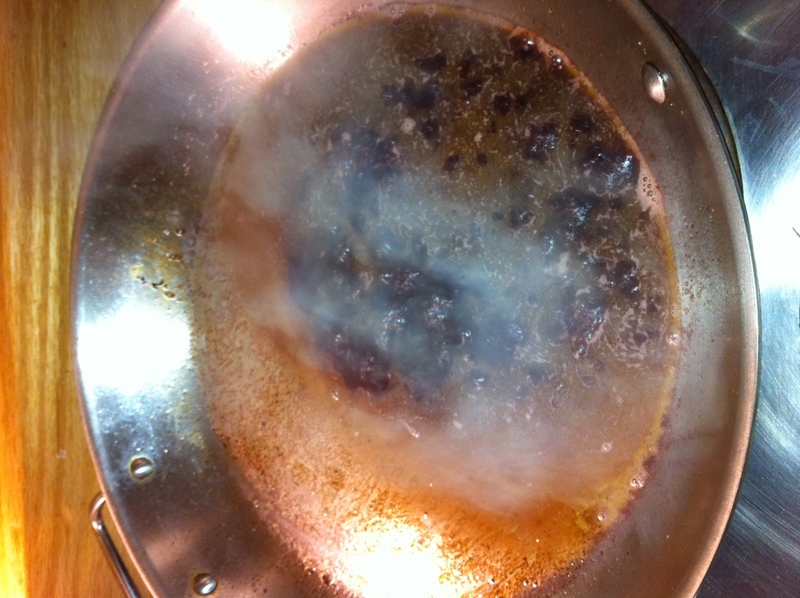 When we pulled the steak from the oven, I made a quick pan reduction with some red wine and butter. The next morning, we headed to Dushore for a breakfast at Kathy’s Cafe. You may remember my original post about Kathy’s, including their coveted scromlet. 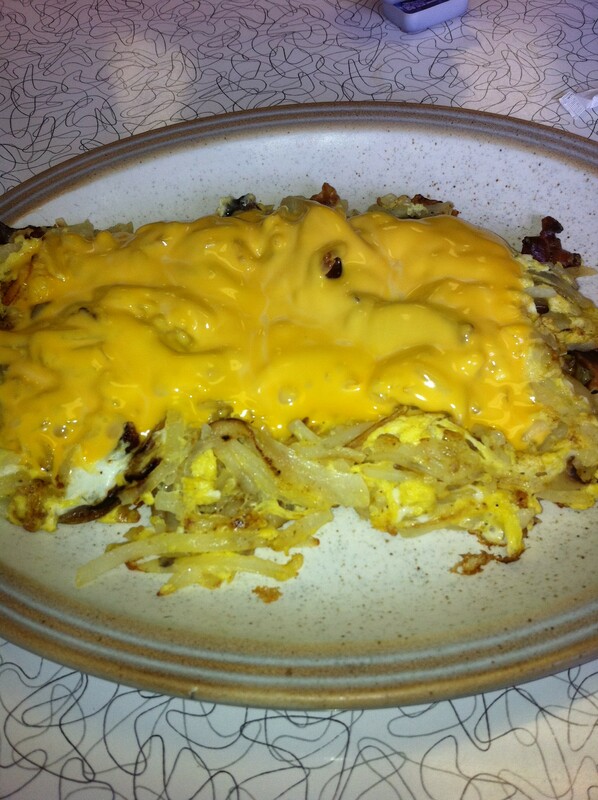 I tend to order the same scromlet each time I’m at Kathy’s, but I figured I’d switch it up a bit and went with “The Original Scromlet,” which is a combination of eggs, hash browns, breakfast meat (I went with local bacon) and velveeta. Swoon. 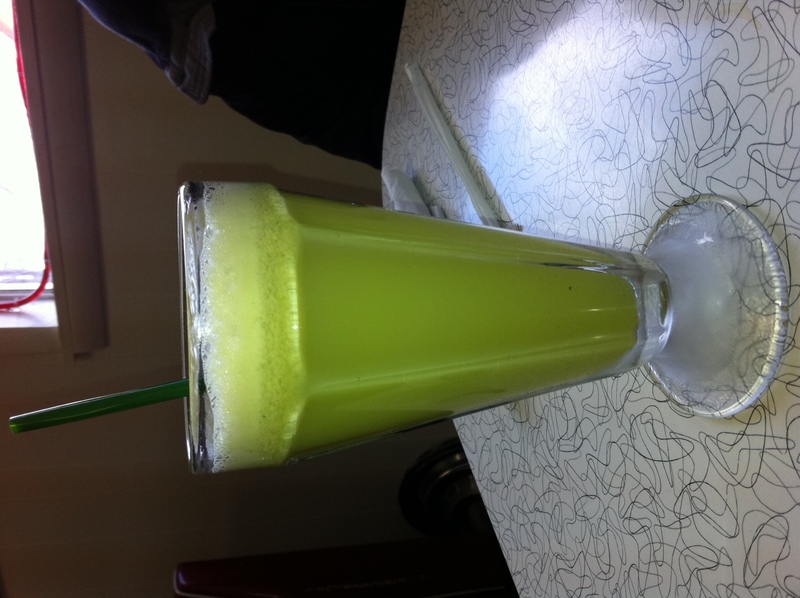 My husband got the same, but he also went with one of their fresh squeezed apple juices. Check out that color! We left with a pint of tomato bisque to go, figuring it would go nicely with our lunch later. 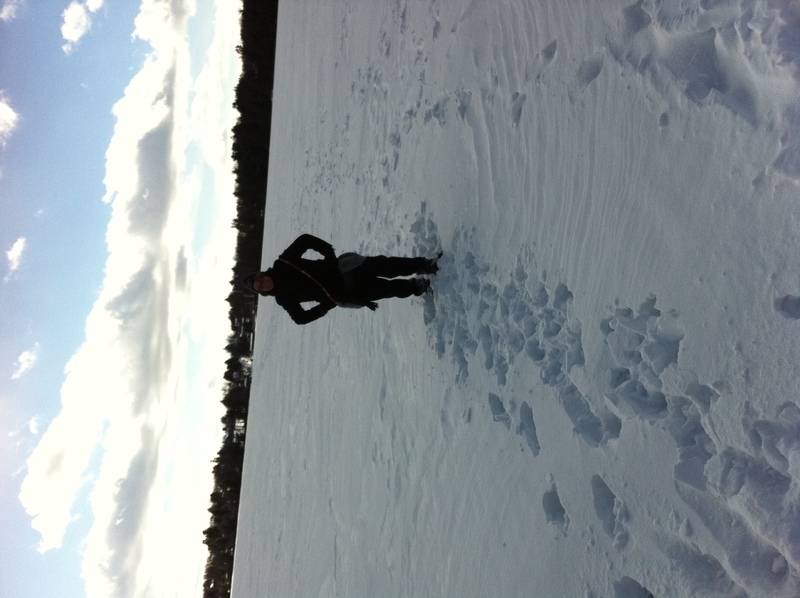 In the meantime, we had a busy afternoon walking across a lake. When we got back to house, we fired the stove back up and had a bite. I had the rest of my scromlet (love leftovers!!!) and half the soup. 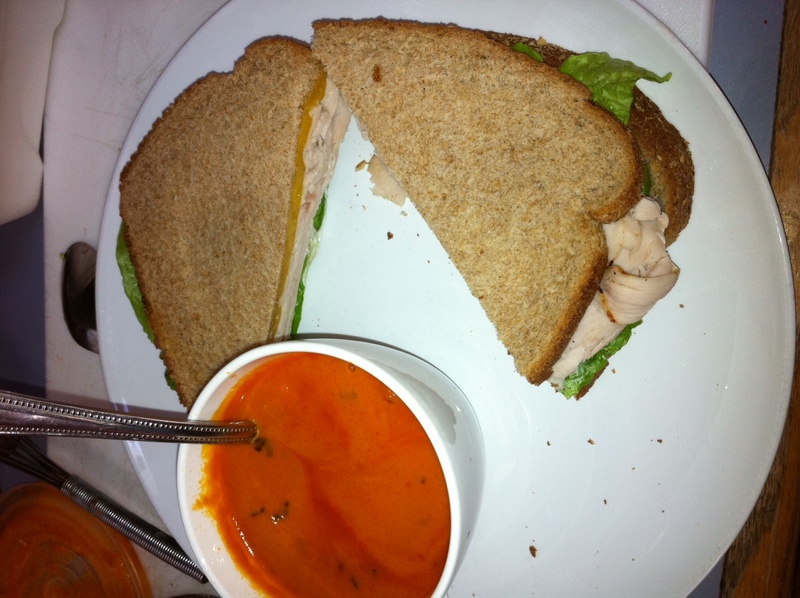 I fixed a turkey sandwich for the mister. 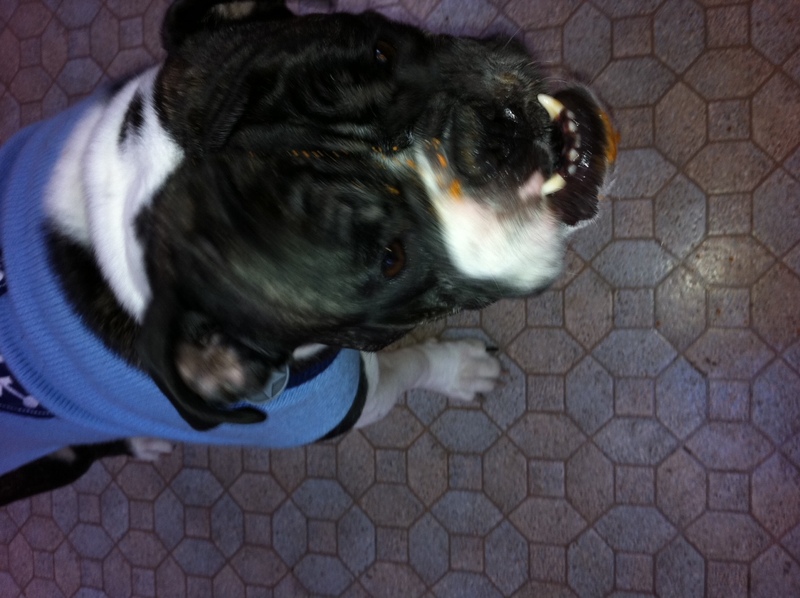 Jewels got to lick the tomato soup container. She was quite pleased. 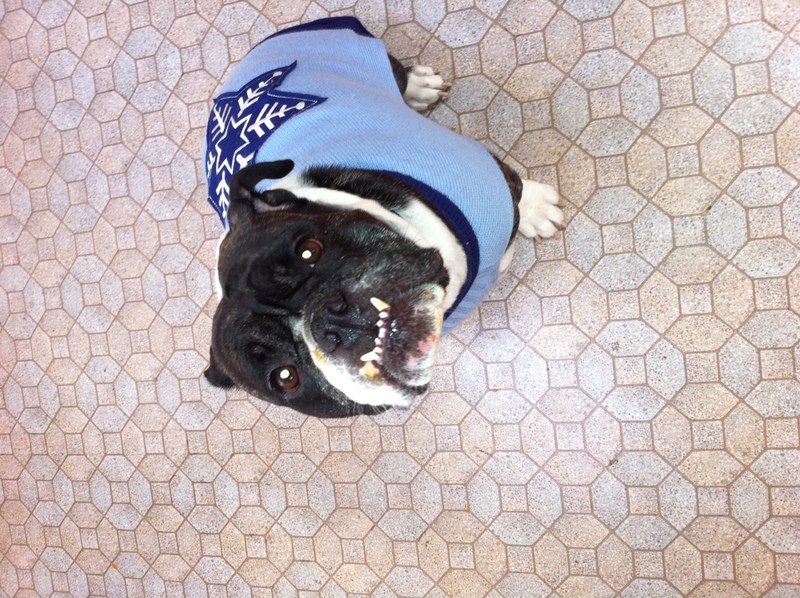 Check out the tomatoey stains on her snout. They stayed there all weekend long. Just one more taste, mom? Pleeeease?! 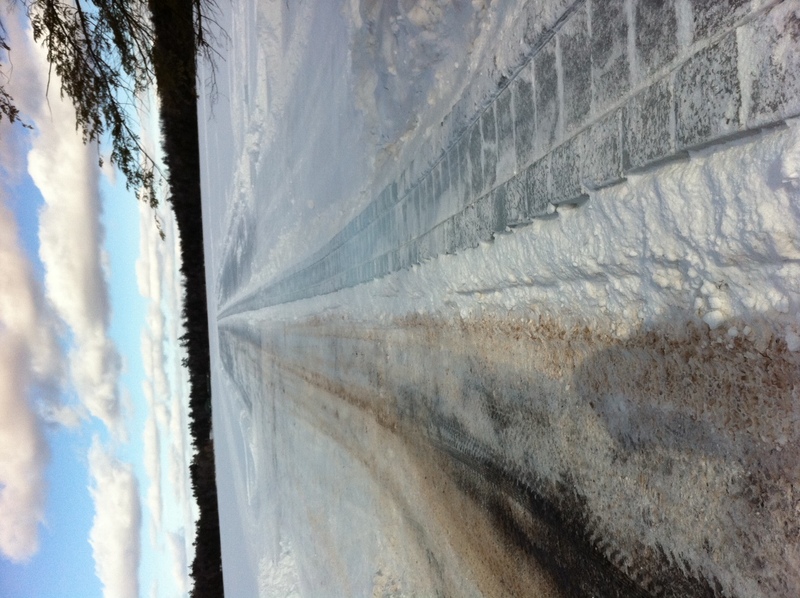 After some much-needed down time after our vigorous walks (walking across a frozen lake covered in 8 inches of snow is a serious workout!) I got dinner started. 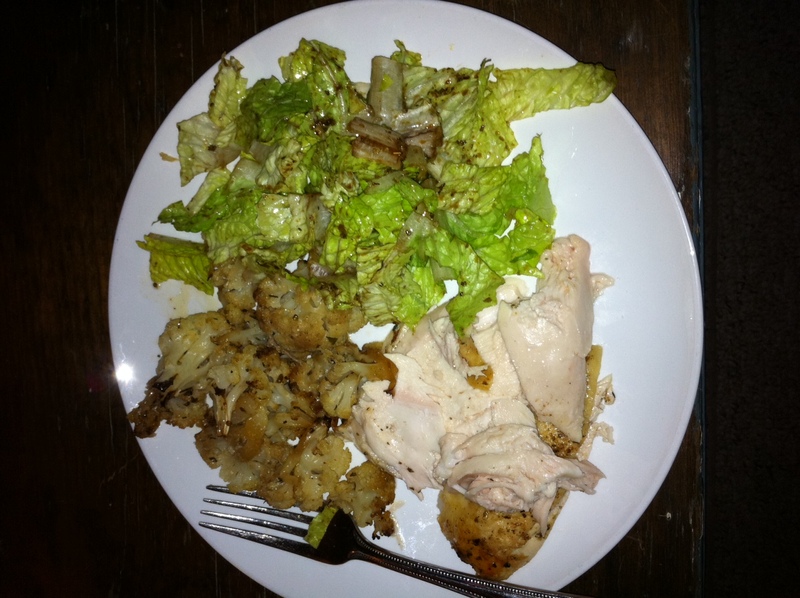 Roast chicken is one of our go-tos and we did a modified beer can chicken in the oven and tossed some cauliflower in the bottom of the dish. I didn’t get a picture of the original bird but it cooked up quickly with a nice, crisp skin. 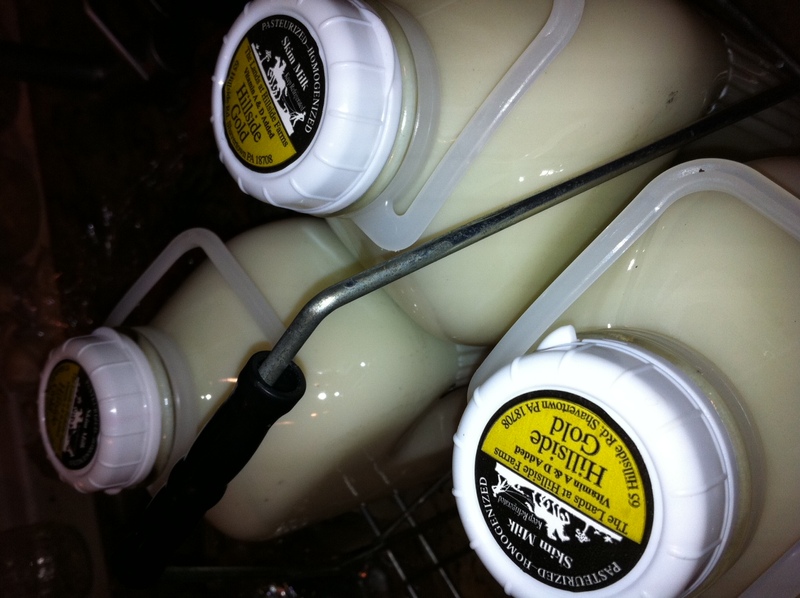 On our way home we made sure to stop at Hillside Dairy just outside Wilkes Barre, PA and return our empties for some new gallons of “Hillside Gold” Skim Milk. If you’re not a skim drinker, check out Hillside Gold and you’ll be converted. The best part about the whole weekend? We didn’t have lunch on Monday before we headed home so I got an early dinner at Vietnam Cafe when we got back to Philly. Woohoo!!! Talk to me more about this steak cooking method. I’m quite new to the steak world. You fry and then bake? Done! You’ve gotta check out South Philly Taproom though!